This committee is a wonderful opportunity for women, ages 14 and up, to put their talent, time and gifts to work for a variety of causes. Discover new avenues to shine, and achieve, and enjoy fellowship among other women. Temple membership required. Fill out the 2019-2020 Sisterhood Online application here. Camaraderie, fellowship and fun with the guys are what Iron Men is all about. The men's club provides our male members with social, service, and religious activities, always with morals and values in mind. Come join us for one of our well known poker tournaments, a sporting event, a fundraiser for a charitable cause, a congregational brunch or an Iron Men membership meeting at a local restaurant. Iron Men is our Temple's way to meet and bond with other men. Fill out the 2019-2020 IRON MEN Online application here. Temple Ruach Yisrael is committed to serving the youth. The congregation supports its commitment by offering dynamic programming and creating an environment that is welcoming to children of all ages. The fundamental goal of all youth activities at Temple Ruach Yisrael is to give children and teenagers pride and building self-esteem. The youth groups combine social activities, cultural events, and programs all of which emphasize morals & values in order to help our youth develop a strong identity. Through involvement in our youth groups, children form a bond which ideally motivates them to continue their participation in the community throughout their lives. The book of Genesis says that we all are created B’tzelehem Eloheim – in Yah's image. In Deuteronomy, Moses says that all of the people, from the leaders and judges to the drawers of water and cutters of wood, are part of Yah's covenant community. From these passages in the Torah we learn that everyone is a child of Yahweh's and deserves to be treated with dignity and respect. Young people live in a very competitive world. They worry about being accepted, competent in sports, being popular, getting into a good college, and countless other concerns. Temple Ruach Yisrael's Youth Program is committed to being one place in which every child feels welcome and valued. Children and teenagers face many challenges today. Adolescence is a time when teenagers begin to form their adult identity and ask many personal questions. Young people are confronted by problems including peer pressure, drugs, alcoholism, teen suicide, and teen pregnancy. Temple Ruach Yisrael offers powerful insights into these issues and the youth groups provide a nurturing forum for young people to talk about critical issues. Youth activities at Temple Ruach Yisrael are based on a belief that when young people are empowered to participate in the temple they will begin a life-long relationship. Studies show that children and teens who participate in youth activities develop a stronger connection to their community. Their involvement creates more committed and involved adults. Fill out the 2019-2020 YOUTH GROUP Online application here. Those who love to sing will love Temple Ruach Yisrael's Choir. Fill out the 2019-2020 Choir Online application here. "Now also when I am old and greyheaded, O God, forsake me not; until I have shewed thy strength unto this generation, and thy power to every one that is to come." Due honor should be given the elderly. It's in the Bible, Leviticus 19:32, NIV. "Rise in the presence of the aged, show respect for the elderly and revere your God." The young can learn valuable lessons about life from the old.It's in the Bible, Psalm 71:18, TLB. "And now that I am old and gray, don't forsake me. Give me time to tell this new generation (and their children too) about all Your mighty miracles." 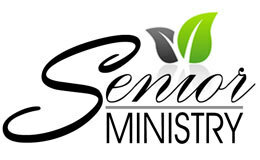 If you're a senior looking for fellowship and fun , this vibrant group is for you. Meetings include movies, bingo, and lunches as well as a monthly discussions with the Rabbi. All seniors are welcome to attend. Join us each month for a discussion on a new book . Books vary from fiction to non-fiction, but the discussions are always fun and interesting. If you love to knit, crochet, or needlepoint - or would love to learn how - then join our Temple group. Our projects include knitting hats for the homeless, or various crafts. Our informal group gathers Sundays at 10:00 am ( Dates will be announced). 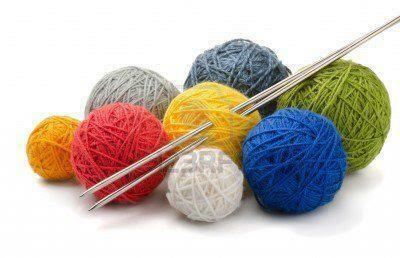 Bring your own yarn craft to work on and enjoy a good gab that often extends to lunch out.